Eldan Recycling has developed a brand-new Twin Shaft Clean-Cut Shredder for production of clean-cut tyre chips from end-of-life car and truck tyres. The new Eldan Twin Shaft Clean-Cut Shredder can produce clean-cut 50 mm chips from car and truck tyres at up to 6000 kg/hour or clean-cut 100 mm chips at up to 9000 kg/hour. ‘Two frequency converters ensure a very flexible operation’, the Danish recycling equipment provider says. This includes individual setting of RPM, overload protection, auto reverse at overload and high torque from zero RPM. The tyre shredder yields up to 50% power saving compared to older models available on the market. 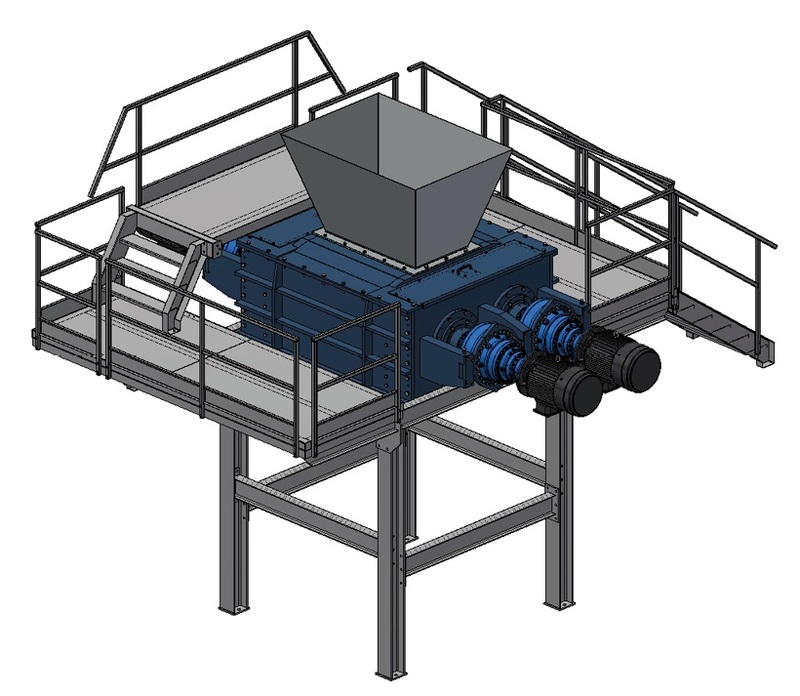 ‘The Eldan Twin Shaft Clean-Cut Shredder has just been launched to the public and we are excited to see the response,’ comments Jan Kjær, manager R&D at Eldan Recycling. He calls it the ‘optimal machine’ for recyclers who want to go from complete tyre into 50 mm (2’’) or 100 mm (4 ‘’) clean-cut chips in one go. 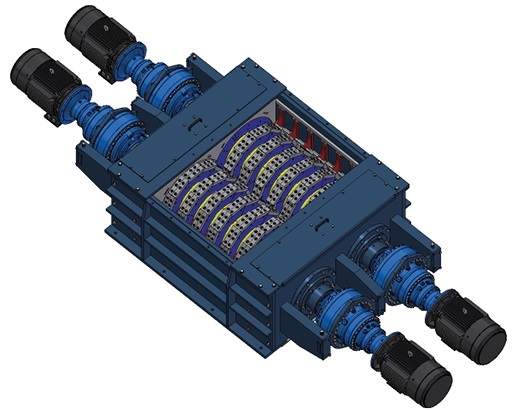 ‘The unique solutions designed for the Eldan Twin Shaft Clean-Cut Shredder is now patented,’ Kjær adds.